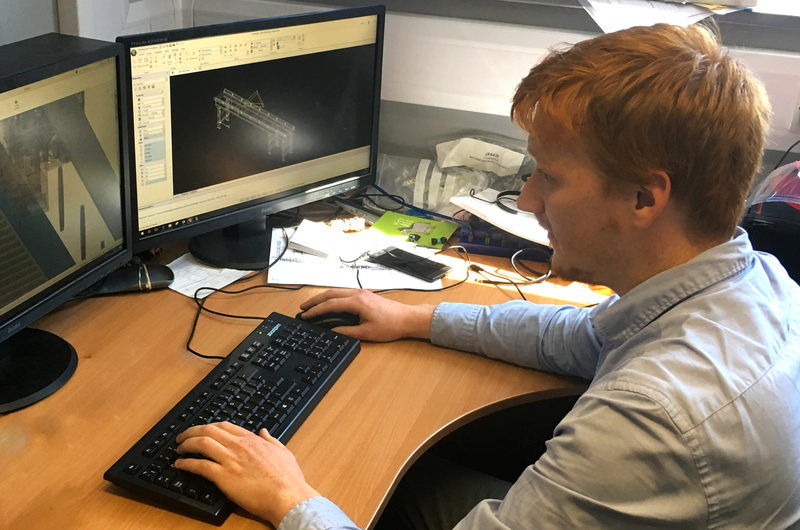 After a year working in the engineering design team at Applied Automation in Plymouth, Michael Diggle (pictured) returned to Plymouth University in September to complete his final year of his BEng (Hons) in Mechanical Engineering with Composites. Initially Michael spent time with the purchasing side of the business, with frequent contact with suppliers. This experience would help him understand the components used in the design and machine build process, before being introduced to the engineering drawing team, where he would spend the rest of his year. Michael spent time learning 2D CAD design. This often involved keeping customers updated. One piece of work for a customer in the USA, while straightforward enough, highlighted the communication challenges, with the inevitable seven-hour time lag with responses. Finding a company that is sympathetic to a student’s needs, providing support when needed is vital. That is not lost on management at Applied Automation. Originally from Manchester, Michael is keen to stay in the Plymouth area when he completes his degree. He could even one day return to work with Applied in the future! Everyone at Applied Automation wish Michael good luck for the coming final year at Plymouth University and best wishes for the future.